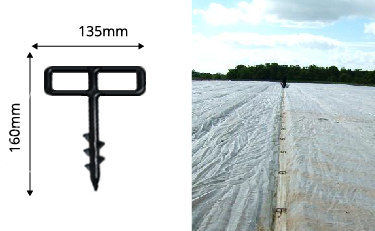 Securing Pegs are an economical, reliable & durable method for holding netting, fleece & ground covers in place. Created from heavy duty plastic our pegs are suitable for all soil types and will see you through many seasons. 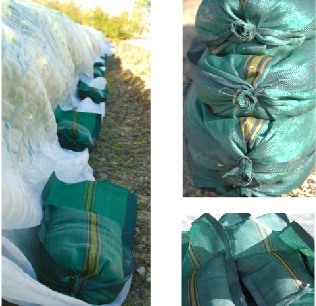 Sand Bags are versatile in their use from a water barrier in flood situations to holding & securing netting, fleece & ground covers in place. Combining the use of securing pegs & sand bags maintains the stable anchor provided by the pegs whilst removing the sand bags allows easy access throughout the season. Framing Clips coupled with our galvanized frames provide a secure and effective temperate enclosure for tender leafed plants. 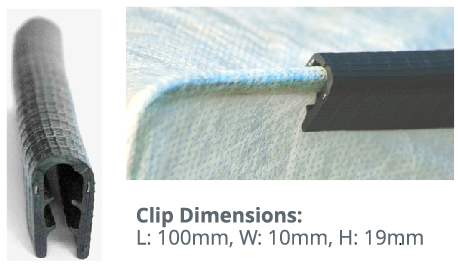 Constructed from a mix of durable rubber & pliable metal the framing clip is gentle on netting & fleece whist holding them securely in place. 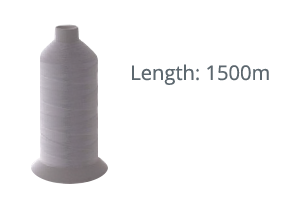 Thread provides a simple & effective solution for maintaining your netting. To purchase from our latest range of products. To select the right product for you. Summer is finally on the way.